Stories are the way people pass knowledge from one generation to another. The late Karl H. Lowe, with help from James B. Simms and Grady A. Smith, has passed down a century of military stories in The 31st Infantry Regiment: A History of “America’s Foreign Legion” in Peace and War (McFarland, 519 pp. $45, paper). The three men were career soldiers who served in the 31st Infantry Regiment. They know combat. As the unit’s Regimental Historian for twenty years, Karl Lowe recorded the 31st from its activation in the Philippines in 1916 through the Vietnam War. In this book James Simms expands on the unit’s action in Vietnam, and Grady Smith reports on activities in Iraq and Afghanistan. An excellent selection of photographs from archives and personal sources supplements their writing. The Regiment’s first battle took place during a deployment to Siberia in 1919 after Bolsheviks captured five American enlisted men following the Russian Revolution. That far north adventure earned the unit the nickname “The Polar Bear Regiment.” World War I had ended in Europe in 1918, but skirmishes between Russian, European, Asian, and American military forces continued in Siberia until 1920. Lowe’s account of the scale of interaction north of Vladivostok provided a new history lesson for me. The same holds true for the Regiment’s deployment to Shanghai when that city became an International Settlement in 1932. This time the Americans stood aside with the British while Chinese and Japanese troops battled on the city’s fringes. The entire book is a history lesson. Lowe writes about old encounters as if they had happened yesterday. Simms and Smith have a similar talent. Their stories tie troops, regardless of rank, to situations so that a reader fully understands what occurred and why. Best of all, the authors provide a feel for the moods of the troops and organizations. Stationed in Manila from 1932-41, the undermanned and poorly equipped 31st Regiment followed a slow motion pace of activity, culminating in a series of ignored war alerts in November of 1941. A few weeks later, the Japanese attacked Pearl Harbor. The remainder of the book focuses on the 31st Regiment in combat: in the Philippines, Korea, Vietnam, Cambodia, Afghanistan, and Iraq. The authors recreate battle scenes with great authenticity. Extensive chapter notes support their work. Many of the Regiment’s war stories have become high points in U.S. military history and the authors do justice to them. The Vietnam War is reported in two sections: 4th Battalion (1967-71) and 6th Battalion (1967-70). The latter includes operations in Cambodia. Again the reporting is personalized and describes actions and attitudes of individual infantrymen. The book’s closing pages pay tribute to 31st Infantry Regiment troops killed in action in all wars. The authors’ combat expertise, their fluid writing style, and the depth of their reporting make The 31st Infantry Regiment a worthwhile reading experience. The book tells it like it was. 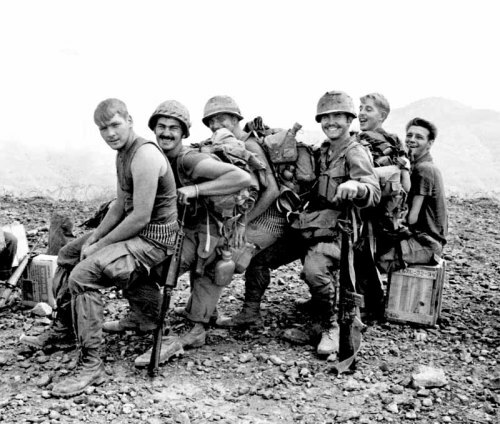 This entry was posted in History, Military History, Nonfiction, Paperback, Vietnam War, Vietnam War History and tagged 31st Infantry Regiment, 31st Infantry Regiment history, 31st Infantry Regiment Vietnam War by vvaposted. Bookmark the permalink.